Design studio has released a version of the popular RocketTheme template with the support of many enhancements to create a complete online business card. 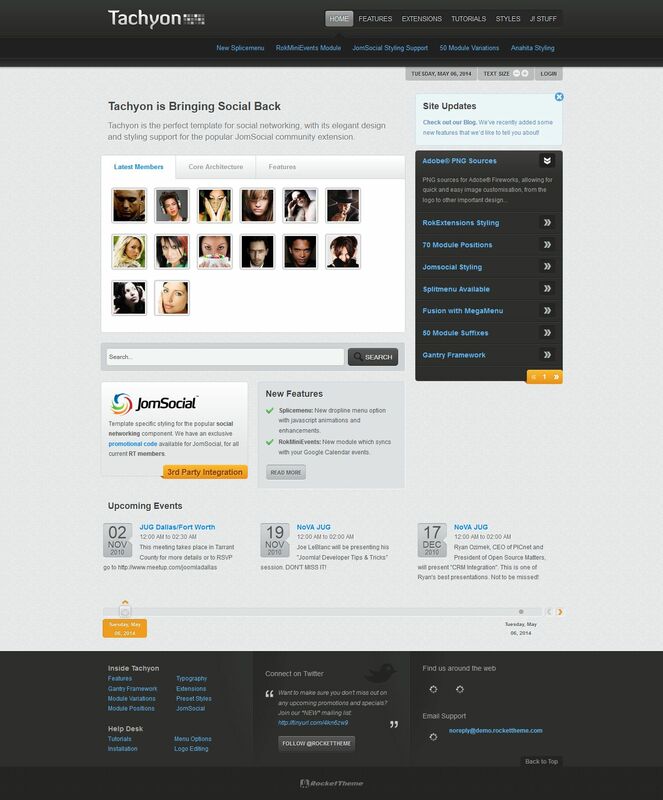 RT Tachyon has a sleek design and sophisticated structure, which in combination with the functional components of JomSocial, Anahita, and Community Builder will provide a high-quality website. This template contains a module RokMiniEvents, which syncs events with Google Calendar service and introduced a new menu option Splicemenu, which is based on Mootools.